DevOps is booming in the enterprise, which has ripple effects on recruiting and hiring. Filling these positions is hard, and hiring those with relevant skill harder. Employers are commonly on the hunt for skilled talent than ever before. 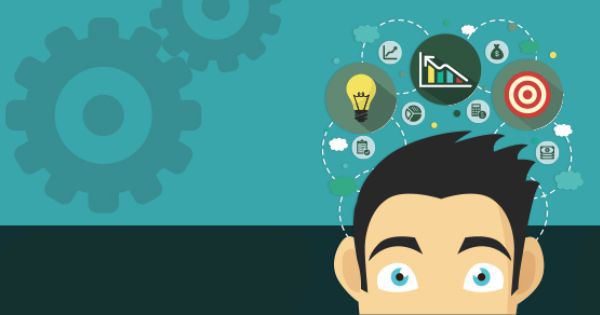 DevOps is one of the hottest skills to be attained in 2016. In just 2 years, listings for DevOps jobs on Indeed.com increased 75 percent. On LinkedIn, mentions of DevOps as a skill increased by 50 percent. 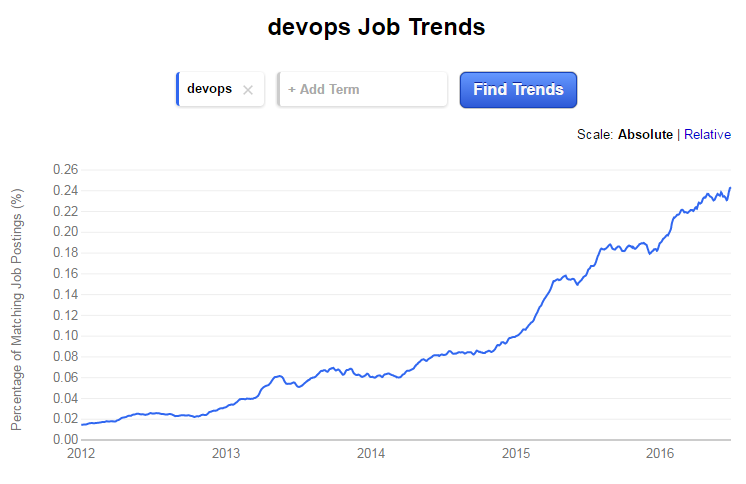 As it is evident in the Indeed.com graph below, DevOps jobs began skyrocketing around the middle of 2015 and shot through the roof in 2016. Given the speed of adoption of DevOps and market demand for DevOps skills is growing, expect these numbers to keep climbing. 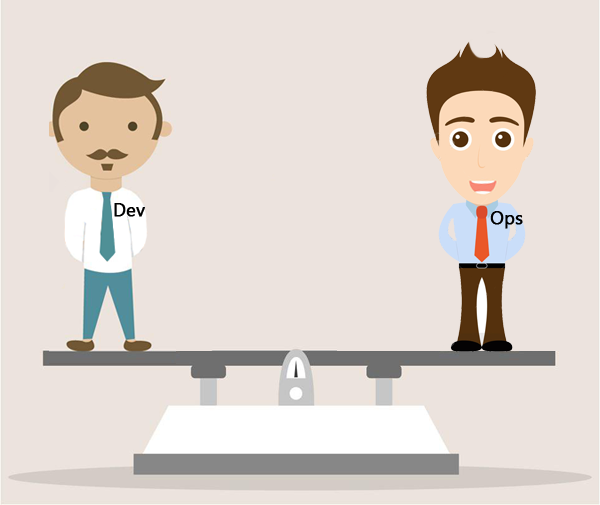 So the question arises how to evaluate and interview skilled DevOps developers? How to go beyond the candidates’ resumes and screen them for the DevOps skill sets. Let’s see how? This is a list of common skills hiring managers might be looking for in a DevOps developer. The skills may differ according to your project and the organisational role. these are the basic skills required for a DevOps developer. Also, make sure your DevOps developer is an outstanding problem solver with good communication skills who is capable of taking your applications to the next level. Being a hiring manager or recruiter, you have to go through endless amounts of resumes in order to find someone who fits the job description posted. You can easily filter out the candidates based on actual performance with pre-hire DevOps screening tests designed by Interview Mocha. 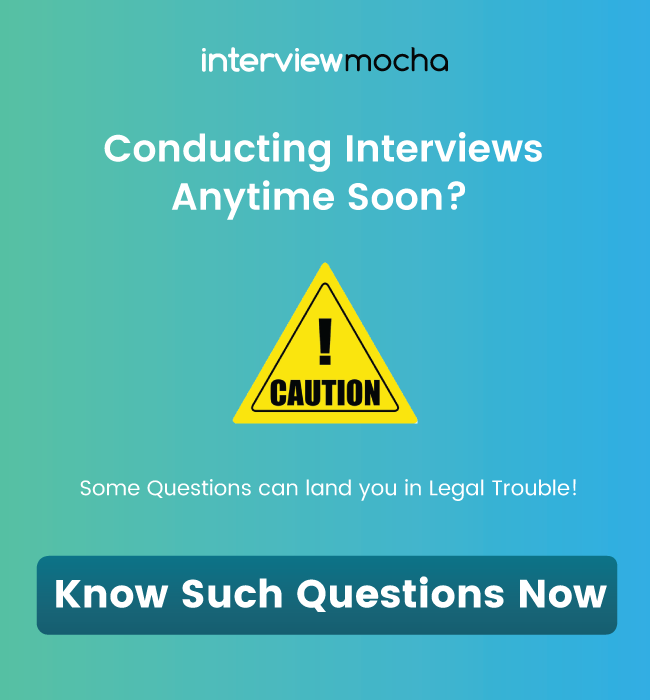 Interview Mocha has created DevOps online test that will give a fair shot of all candidates’ skills and applied knowledge. You can screen and hire Devops developers that fit the job, and your company. With DevOps Salesforce test, you can easily evaluate candidate’s knowledge with well-balanced theory and applications based questions. Spend your time interviewing only the cream of the crop and cut off irrelevant candidates with online DevOps test. Congratulations, by using a DevOps online test, you have already saved a huge amount of time you would have normally spent with irrelevant candidates. Now comes the face to face Interview. This is the most critical step in making your hiring decisions, so plan the interview carefully. 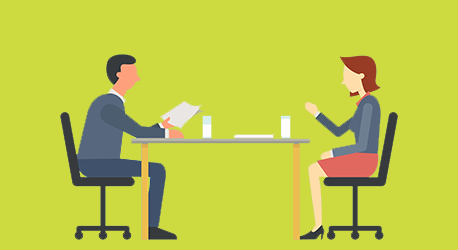 To ensure you hire a competent DevOps developer, We have created a list of practical, performance based DevOps interview questions. Below is a list of DevOps interview questions. You can ask more complex questions to know the candidate’s in-depth knowledge. Remember it’s not always about the correct answer the candidate gives, but the thought process and problem-solving skills he applies. Along with these look whether the candidate stays up to date with the latest developments? Ask him the question related to trending technologies and updations. Also, try giving a task or project to the candidate with a real issue that you had encountered previously on your software architecture problems. Got any other good interview questions to add? Share with us in the comments below. If have got some question or suggestions for us please let us know in the comments below or shoot us a mail at support@interviewmocha.com.